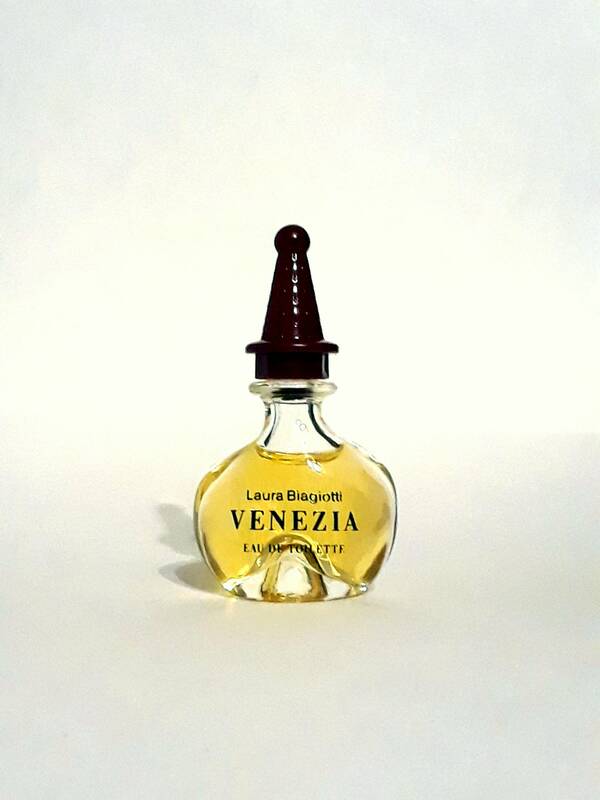 Vintage 1990s Venezia by Laura Biagiotti 0.17 oz Eau de Toilette Splash Mini Perfume. Bottle is full - see photo for actual fill line. Launched in 1992, it is classified as a woody floral oriental fragrance for women. It begins with a fresh fruity top, followed by a spicy floral heart punctuated with Chinese wong-shi blossom (osmanthus), resting on a soft oriental base. The original Venezia was discontinued, date unknown. This listing is for the original formula. By 2000, Irma Shorell/Long Lost Perfumes created their own version of the fragrance and released it under the name Venezia. This has also been discontinued. 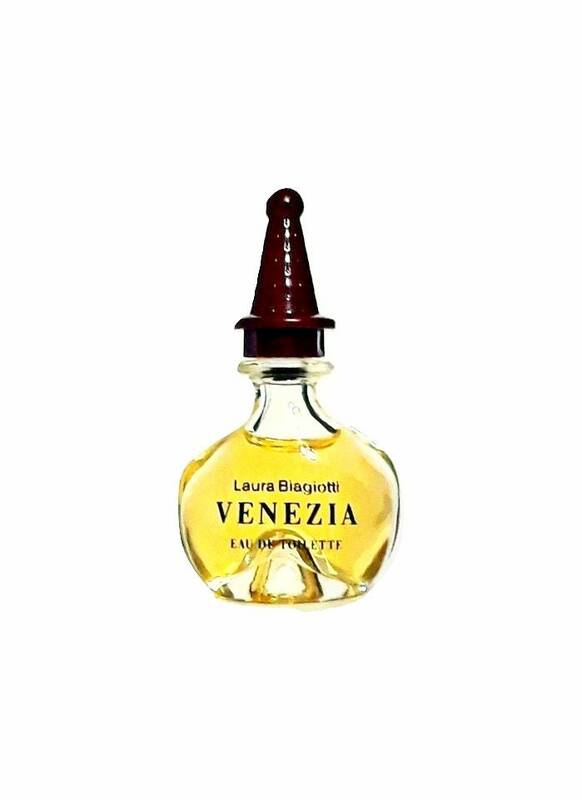 Laura Biagiotti had reformulated and relaunched Venezia in 2011.